Long story short, I was co-owner of a beauty blog for the first half of this year and had a major falling out with the other co-owner and she decided to delete the blog and cancel the giveaway I was running, due to personal issues with me. So I’m bringing the “beauty” area back here to OneStarryNight and starting it off with this beauty giveaway! I’m also giving away MORE PRIZES which means MORE WINNERS!!! I am so excited that I’m shrieking as I type this… albeit quietly because I don’t want to scare my kids. 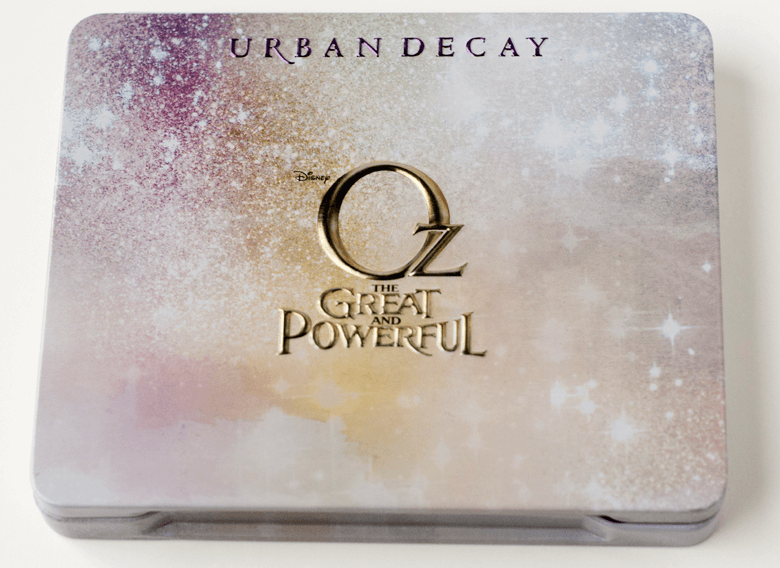 For the grand prize I’m giving away the Urban Decay Glinda Palette! 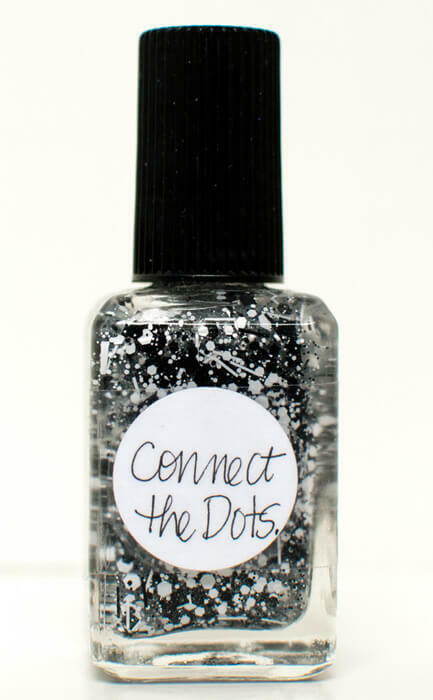 A brand new bottle of Lynnderella – Connect the Dots nail polish. 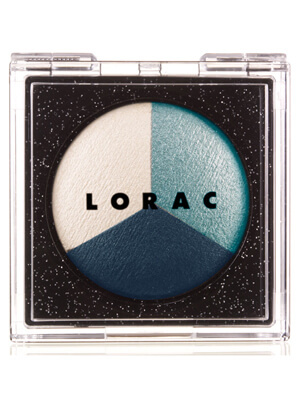 A brand new LORAC Starry Eyed Baked Eyeshadow Trio in RockStar. A brand new Stila – Stylish in Seoul Travel Palette. You MUST leave One (1) comment to enter, everything else is optional (and appreciated!). Your Twitter account MUST be active and NOT just used to enter giveaways or be a spam account. It won’t qualify (for those who do the Tweet About This Giveaway entry option). The approximate value of the grand prize is $49.00. This prize is non-transferable. There are no cash or other substitutes of prizes by winner. OneStarryNight reserves the right to substitute similar prizes of equal or greater value in the event the above prize is unavailable for any reason. Individual, parent, or legal guardian of the winner is solely responsible for all applicable federal, state and local taxes with respect to the grand prize. Prize will be mailed to the winner(s) physical mailing address. Please allow six (6) to eight (8) weeks for delivery. By entering or accepting the prize in this contest, the winner(s) agrees to be bound by these Official Rules, Terms, and Conditions and to conform to all federal, state and local laws and regulations. No purchase necessary to enter or win. This contest runs from June 16th, 2013 through July 6th, 2013 at 12:00AM EST. This contest is open to all participants unless prohibited by their local state/country. Prizes won by minors will be awarded to their parent or legal guardian on their behalf. For reference, the age of majority is 18 years old in the United States, with the exception of Alabama (19), Delaware (19), Mississippi (21), and Nebraska (19). The number of eligible entries received determines the odds of winning. Eligible participants are allowed to enter up to one (1) time, as per the section below. The Lynnderella Nail Polish is for U.S. participants only due to international laws. Four (4) winners will be selected through a random drawing from all eligible entries after contest closes to win. In the event that the original winner does not meet eligibility requirements or he/she forfeits the prize, the prize may be awarded to the next randomly drawn eligible participant. All entries must be received on or before July 6th, 2013 at 12:00AM EST. The winners will be notified via e-mail. Winner will have 48 hours to claim prize after initial notification. If winner fails to claim within 48 hours, an alternative winner may be selected. This promotion is in no way sponsored, endorsed or administered by, or associated with, Facebook, Google, Instagram, Pinterest, or Twitter. We hereby release Facebook, Pinterest, Instagram, Google, and Twitter of any liability. Information that participant discloses is provided to OneStarryNight, not to Facebook, Google, Pinterest, Instagram, or Twitter. I am really lusting over Glenda. so much I’ve considered going out and buying it for full price. but I just can’t seem to quite do it! Really nice giveaway, I hope I win a prize! Dude. Last time I entered a beauty giveaway, I won and the host never told me. I’m still reeling over missing out on free Kim Kardashian perfume (not! ), so I’m hoping to win…something. Anything. WOOOOTERS! Sarikins is bringin the FIYAHHHHHH! Here’s to maybe a little desert rat scoring some epic Sarikins lurrrrve! omg so much pretties! i’d even be happy with one of the runner up prizes! Way excited – the Glenda palette is gorgeous! the Glenda palette looks amazing! awesome giveaway! these are such great prizes! I’m so excited! This is totally awesome EPIC giveaway! I love Urban Decay!! Such awesome prizes! Yay! Giveaway! This is super generous of you, Sarah! Thanks for running it! This giveaway is certainly epic. When I saw the bottle of Lynnderella Connect The Dots I shrieked. Have been coveting that nail polish for SO. LONG. Love this giveaway. Such awesome prizes. Thank you!!! I’m so excited! What an awesome giveaway, TY! Hi! I’m loving your site. A friend just pointed me here, can’t wait to read more. Fantastic giveaways! I would DIE if I won the Glinda palette! DIE! Those are some seriously awesome prizes! I’d do a huge happy dance if I won! I love that nail polish!!! I am more excited about that than any of the other prizes!! What a GREAT giveaway! That Glinda palette has been on my mind since it came out, but I decided on being a good girl and not getting it. This might be my last chance ;-) Thanks for the very, very generous giveaway.